Some of us just love beautiful beads! This page is just for you. 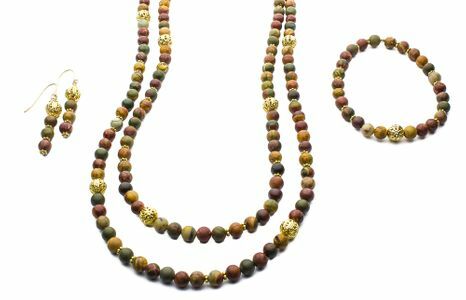 Beaded jewelry created from natural, semi-precious gemstones. Each is a unique, one-of-a-kind piece.